Reading the daily economic news in hopes of navigating our location in the business cycle reminds me of ancient priests trying to discern the movements of the gods by examining the contours of the liver of a sacrificed goat. Even the ancients priests understood that the more omens they could combine the better their predictions would be. Another omen appeared this week when China announced that official China Federation of Logistics’ January purchasing managers’ index (PMI) slid to 49.8 from 50.1. The HSBC and Markit private sector PMI also fell from 49.8 to 49.7. Indexes like these are designed so that any outcome below 50 indicates contraction in the sector. In the worldwide division of capital, China is primarily a consumer goods manufacturing nation that supplies the US and the Big EZ (Euro Zone), which are the world’s largest manufacturers of producer and capital goods. The Austrian Business-Cycle Theory (ABCT) at its simplest divides economies into raw materials, producer goods and consumer goods. Hayek’s version, employing the Ricardo Effect, says the turning point in an expansion comes when spending on consumer goods increases and the greater profits cause consumer goods makers to stop buying new equipment. That generates a profit crisis among producers goods manufacturers who begin to reduce employment and the recessions begins. The large jump in GDP, which mostly measures sales of consumer goods, in the third quarter was an omen of bad things to come from the producer goods sector. Sales of consumer goods (GDP) fall when enough workers in the producer goods sectors have lost their jobs. So what are we to make of China’s slowing consumer goods manufacturing? Ceteris paribus, it indicates that many workers in the capital goods producing nations that China supplies with consumer goods have lost their jobs and are buying less. Much of the Big EZ is in or balancing on the edge of recession, which explains part of the decline in the sales of Chinese goods. In the US, the collapse of oil and commodity prices in general, the recent drop in durable goods orders (-3.4%) and orders for capital goods (-9.7%) are signs that the producer goods sector here is in trouble. Emerging market countries plus Australia and Canada fit into the international capital structure as raw materials producers. If we imagine the structure of capital working through time as a stream, raw materials sit at the headwaters where the stream begins to take shape and flow downstream to make producer goods then consumer goods. The slump in the producer goods sector reduces demand for raw materials, which partly explains the collapse in commodity prices. Then, just as with a decline in producer goods, a decline in raw materials production eventually feeds back into a similar decline in demand for consumer goods. 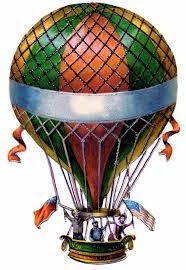 Another way to think of the business cycle is to imagine the economy as a hot air balloon. The balloon and basket represent consumer goods and services, the most visible part of the economy. The burner represents the producer goods sector and the fuel stands for the raw materials sector. Investment in the producer or capital goods sector ignites the fuel coming from the raw materials sector and inflates the balloon, or the consumer goods sector, causing the economy as a whole rise. But too much investment caused by excessively low interest rates makes the balloon to rise too high, at which point the pilot, the consumer, shuts off fuel to the burner and the whole economy sinks. So what does this mean for investors? Keep your powder dry when it comes to stocks. Just before the recession hits, stocks will tank. Those who invested in US Treasuries last year have done well as interest rates have fallen. Last week I recommended buying Greek bonds because I thought the European Central Bank (ECB) would buy them in order to generate the largest bang for their counterfeit bucks. I did not see the ECB declaring Greek bonds too risky for them to buy. Few investors probably took my advice because investing in Greek bonds is very difficult for retail investors like us. The best bet for Big EZ bonds is Italy. However, with omens of a worldwide recession piling up, the best place to be right now is in US Treasuries and precious metals because Big EZ banks that sell their bonds to the ECB will want to put that cash to work somewhere safe and that means US Treasuries and precious metals. The yield on the US 10-year bond may fall to match Germany’s 0.39%, which would mean huge capital gains for the investor.